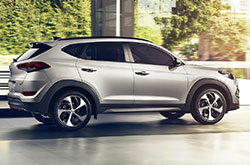 The Tucson ranks as one of the smallest and the least expensive crossovers on the market for Hyundai. What's new this year? To be certain, you have plenty to get excited about in the 2018 model. Over the years, people recognize lots of cars from the Hyundai lineup, and the Hyundai Tucson's distinctive style and look sets it apart from the other crossovers in its class. You can expect changes and updates including a heated steering wheel and SiriusXM Satellite Radio in trim packages like the SEL. In fact, HD radio will now become the standard for the SEL level and up. 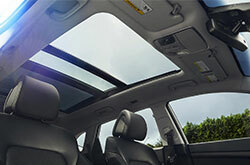 Along with an improved package, each of the trims include new features and upgrades. For example, the Value Trim, a newly introduced trim of the 2018 lineup, offers a start with the push button, Proximity Key Entry, automatic temperature control and an auto defogger. You will also get a ClearAir Ionizer, the inside of the rear-view mirror dims automatically and you have sensors for the rear end to make the driving experience more enjoyable. Other trim packages include the latest tech features like a 7-inch display audio screen and Apple CarPlay. The standard power with the 2018 Tucson means this crossover has a 4-cylinder 2.0-liter engine, and the motor generates up to 151-pound-feet of torque and 164 horsepower. You can also opt for the 1.6-liter turbocharged engine. It has four cylinders, and it generates 195-pound-feet of torque and 175 horsepower. As the standard, you get the front-wheel drive or FWD, but if you need something a little more heavy duty, you can choose to upgrade to the optional all-wheel drive. All the 2.0-liter models include a 6-speed dual-clutch automatic, but you can also choose to upgrade to a 1.6-liter engine. 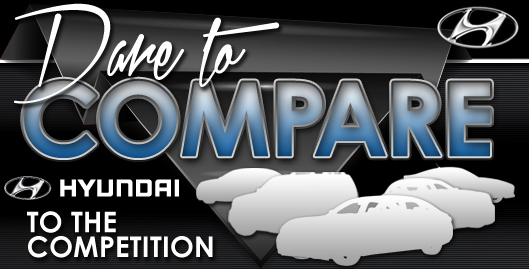 When it came to the performance of the current Tucson, in fact, the NHTSA earned five stars. Meanwhile, the Insurance Institute for Highway Safety awarded it with the Top Safety Pick. In particular, crossovers have become a favorite choice for families, and they tend to have more safety features to keep you and your family protected while on the road. In the most expensive trim level, you have automatic emergency braking and a forward collision warning system. 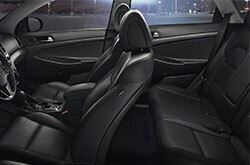 The striking design, advanced technology and safety features translate to expansive appeal for a wide audience. Visit Reliable Hyundai in Springfield, MO today to take the 2018 Hyundai Tucson for a test drive!